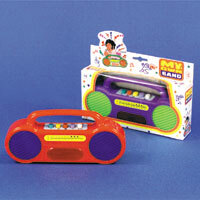 Rap-N-Tap noisemaker shaped like a boom box. $1.93 each for 24 or more. $1.72 each for 72 or more.